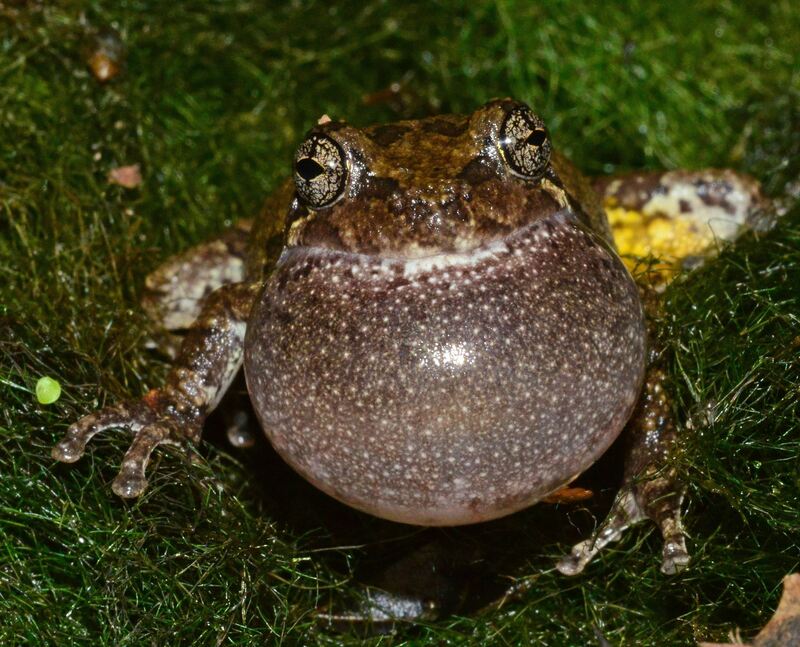 Vernal pools, which are pools that dry up in the summer, are vital habitat for salamanders, fairy shrimp and several species of frogs, including this Copes Gray Tree Frog. Karen Sheffield, the Manager of Huntley Meadows Park, will present a program on vernal pools on Sunday, March 3 at the Mount Vernon Government Center, 2511 Parkers Lane, Alexandria. We'll have an informal social gathering at 1:30 and the program will start at 2 PM. The program is presented by the Friends of Dyke Marsh and cosponsored by the Friends of Mason Neck State Park, the Friends of Huntley Meadows Park and the Friends of Accotink Creek. The program is free and open to the public.